ReggaeStories provides a range of perspectives on the development of Jamaican popular music and culture, in particular reggae and dancehall, and opens the door to new debates on these music forms and their producers and creators. It moves through early musical debates and incendiary intellectual contributions in Jamaican reggae to trace Jamaican popular music in new geographical locales and then returns home to contemporary dancehall posturing. The contributors to this collection incorporate a range of approaches that includes cultural studies, musicological analysis, lyrical analysis and historical contextualization. The collection makes a seminal contribution with its presentation of significant work on reggae music in the Hispanic Caribbean (Mexico), particularly for the benefit of English speakers who may have faced restrictions in accessing such material. In a similar vein, the work also introduces material on reggae music in the former Soviet Union (Belarus), again opening spaces that may have been hidden from the anglophone debates. The work also makes another significant contribution in tackling Peter Tosh’s intellectual and lyrical legacy as a reggae revolutionary in an era where he has received scant literary and academic attention. Additionally, the work adds considerably to contemporary debates on dancehall music and culture’s postmillennial identity debates by introducing a critical academic discourse on the lyrical and cultural posturing of popular dancehall artistes Tommy Lee and Vybz Kartel. 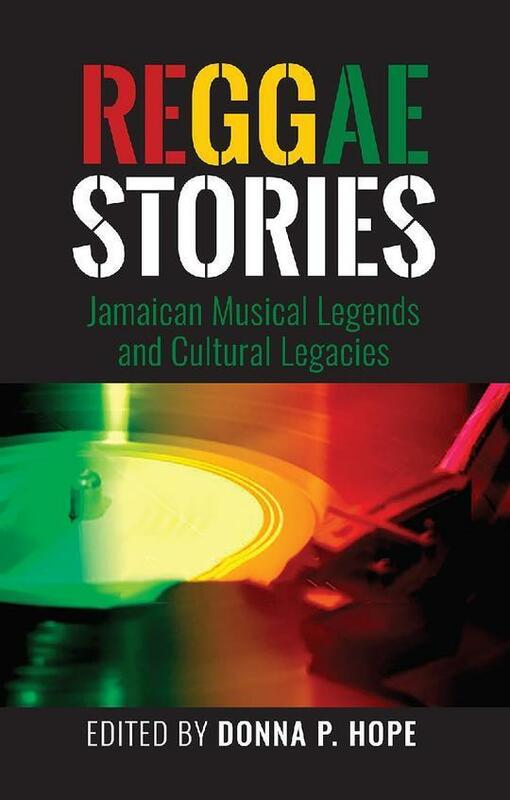 ReggaeStories spans several important and connected points in the debates around adoption and adaptation of Jamaican popular music and culture in different cultural and geographical contexts and extends the discussion on how these musical and cultural forms have been transformed or retained in differing localities. Popular Culture and the Politics of Identity in Jamaica and Man Vibes: Masculinities in the Jamaican Dancehall.